The DS4208 has reached end of life. It has been replaced by the DS4308. 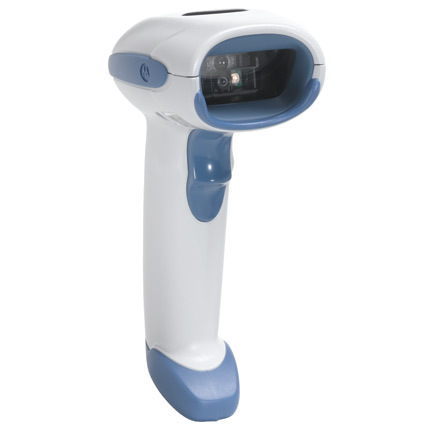 The Motorola DS4208 barcode scanner offers fantastic 2D scanning at an amazing price, excellent for retailers wanting to embrace mobile couponing or healthcare providers wanting better capture of patient data. The scanner can read standard retail barcodes from over a foot away, eliminating the learning curve of finding the scanner´s "sweet spot." A motion tolerance of 25 inches per second means the DS4208 can keep up with high volume retail or fast moving barcodes. 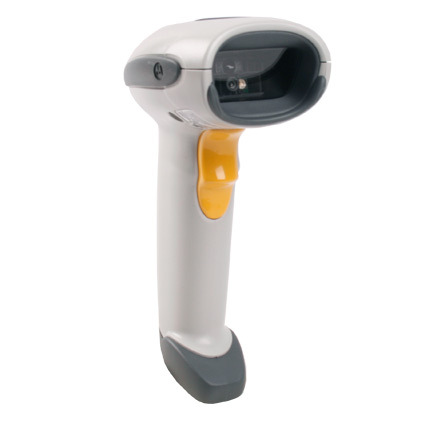 And because it´s an imager, the DS4208 can read barcodes in direct sunlight. Available in black, light gray, or healthcare white with special antimicrobial plastics, the DS4208 is a great fit for any station. 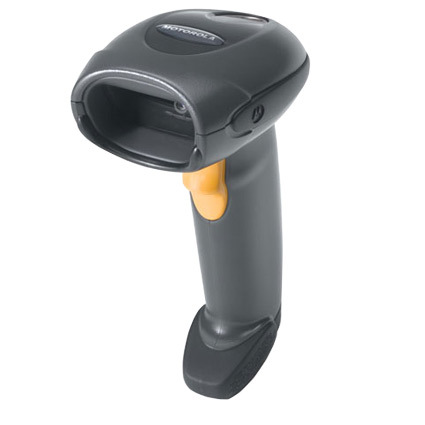 The barcode scanner is built to withstand 6-foot drops to concrete, fitting in even rough retail environments. An IP43 seal keeps out dirt & water splashes, and a 5 year warranty covers your investment for quite some time. • Dimensions (W x D x H): 2.7" x 3.7" x 6.7"
5.0 Mil Code 39 0.2" to 6.8"
10 Mil 80% UPCA Contact to 12.7"
13 Mil 100% UPCA 0.3" to 15.2"
5.0 Mil PDF417 1.5" to 4.3"
6.6 Mil PDF417 0.8" to 6"
10 Mil Data Matrix 0.4" to 7.2"